Japan looks set to see a new floating wind farm built off the coast of Fukushima, according to a number of recent news reports. Trading company Marubeni plans to develop the wind farm, and the process is set to start next month. The development comes after the near-shore wind farm Kamisu withstood the earthquake and tsunami that devestated the region last year. The wind farm was a huge success during the disaster, providing much needed electricty when other sources were out. As a result, the country is looking toward wind farms as a more sustainable and reliable source of energy. The Japanese parliament recently passed a renewable-energy bill, and the country hopes to develop a 1GW floating offshore project off the northern coast within the next decade. The Japanese government will be supporting the initiative by putting aside part of its reconstruction budget to develop this new energy source. 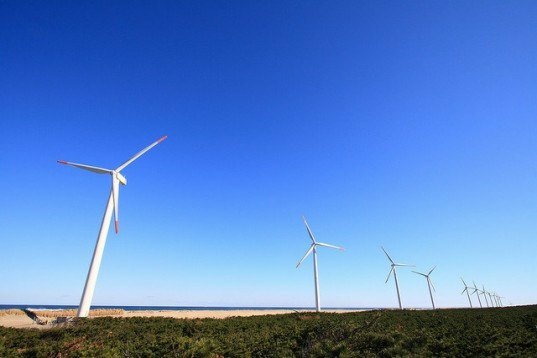 Other Japan-based companies lending their support for the Fukushima wind farm include Mitsubishi Heavy Industries, Nippon Steel Corp, and Mitsui Engineering & Shipbuilding. Japan looks set to see a new floating windfarm built off the Fukushima coast, according to a number of news reports we spotted on the net today. 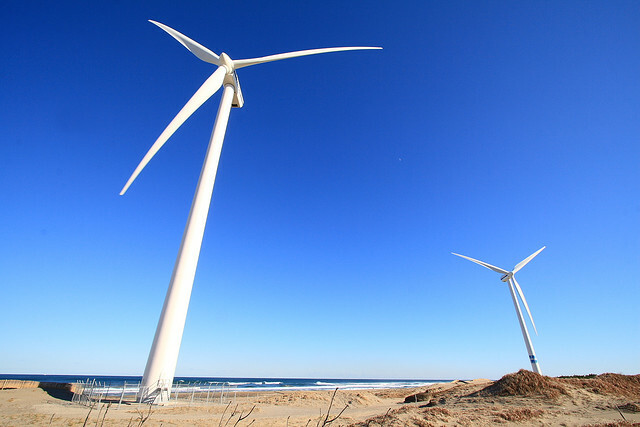 Trading company Marubeni plans to develop the wind farm, getting the ball rolling next month. The development comes after the near-shore wind farm Kamisu withstood the earthquake that devestated the region in last years tsunami.